SFILEN was formed to address the daunting legal challenges confronting immigrants. Since the Network’s inception in December 2006, we have successfully improved and increased immigrant legal services to San Francisco’s low income immigrant communities. Outreach and education activities, together with strong legal services have provided greater support and security for immigrant families. SFILEN has also increased cooperation and collaboration between existing service providers and increased efficiency, grown new capacity, overcome language barriers and isolation, and improved shared knowledge among immigrant legal service providers in San Francisco. Since 2006, SFILEN has adapted to meet the waves of changes in federal and local enforcement actions that have created new needs and new legal challenges for immigrants. Increased local and national anti-immigrant bills across the country, such as states taking increasing liberties in enforcing federal immigration law, as well as continued heavy-handed Immigration and Customs Enforcement (ICE) programs such as “Secure Communities” (S-Comm) play ongoing roles in diminishing the rights of these new Americans, whether documented or not. Additionally, opportunities offered by the Obama administration such as Deferred Action for Childhood Arrivals (DACA) has created new needs for legal services to help young people apply for this temporary relief. 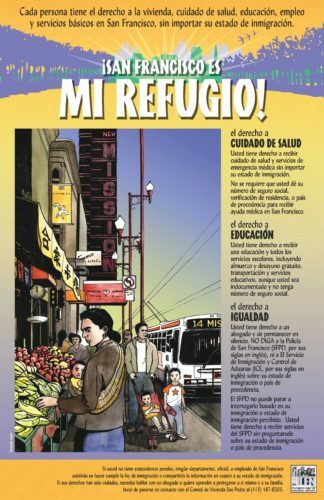 Most recently, with the prospect of national immigration reform on the horizon, the need for trusted immigrant legal services and community education around immigration issues is in high demand as immigrant communities continue struggling to navigate a patchwork of changing immigration policies and procedures. 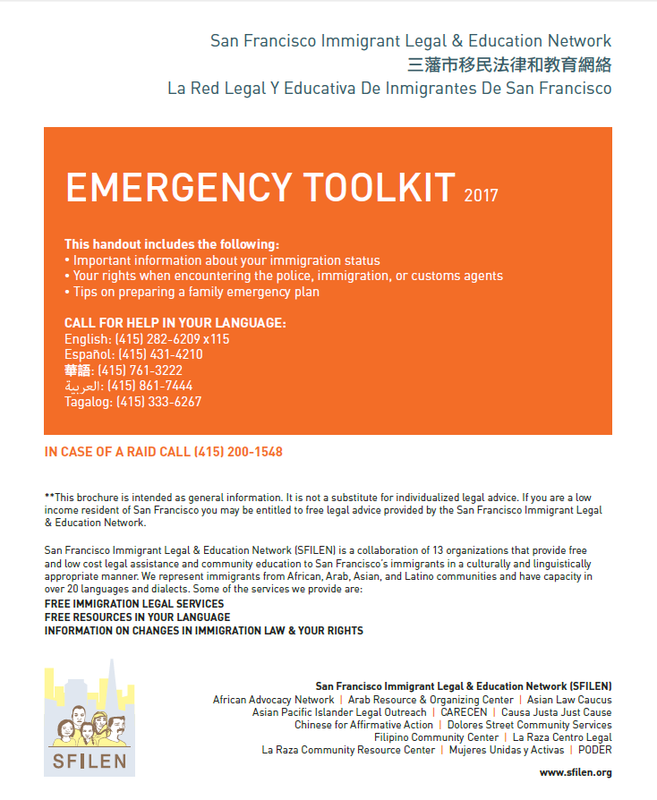 As San Francisco has one of the top five largest immigrant populations in the United States, SFILEN provides a source of trusted legal information for communities to turn to, to avoid becoming prey to predatory attorneys, fraud, and misinformation that could place them in greater jeopardy. According to 2010 Census data, more than one-third of the City’s residents were foreign-born (35%) . Additionally, 45.5% of San Francisco residents speak a language other than English. A recent local study done by the Mayor’s Office of Housing, Community Development Division, found that 64% of children in the city have at least one foreign born parent and the same study found that 48,937 immigrants in the city are eligible for naturalization, which speaks to the high demand for culturally and linguistically appropriate legal services for the city’s immigrant populations. SFILEN continues working daily to enact our vision of a society in which all migrants and their families have full access to social services, direct legal services, civic engagement opportunities, legalization, freedom of movement, and reunification with family and community.